With this Zapier tutorial I’ll show you how to use Zapier, WordPress and Sezion to automatically promote your blog posts with videos. Publishing a blog post and waiting for people to find it is not an effective method to build an audience, but you already know that. Images and videos tend to go viral much easier than written content does, but how can you manage to make a video to promote every blog post and get blog traffic? Blog posts promotion can be hard, but there are a few ways you can automate the process and use one of the most powerful type of content out there: video. If you use WordPress, you can do so much more to promote your blog posts by connecting it to the other apps you use like Twitter, Facebook Pages and, if we are talking about making a video from our content, Sezion. Sezion will help you automatically make a personalized video for every post. 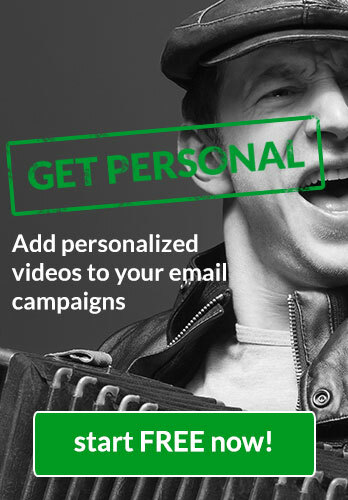 That’s what we call Personalized Marketing Videos: unique videos tailored for and from specific audiences, content or occasions. In this case, content. 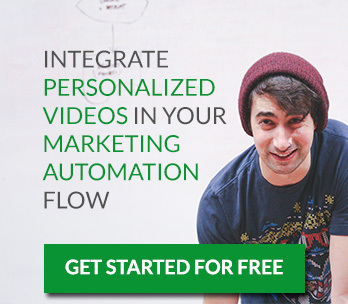 How can we automate the workflow between WordPress and Sezion to skyrocket your content marketing strategy with video? Well, Zapier is a big help here; it automates the tedious tasks in your workflow, it gives you the power to integrate WordPress with Sezion to make 1 or 400 videos and create better and more content marketing with the same amount of work. A 5 minutes setup. We created a video tutorial that shows you how to automatically make a personalized video for every new blog post using two free tools: Zapier and Sezion. This Zap will help you improve your SEO, get blog traffic and promote your content. Triggers and actions are simply events. They can be things like a “new post” or a “new comment”. A Zap combines triggers and actions — whenever the trigger event occurs, Zapier automatically completes the action for you. New Comment: Triggered when you add a new comment. New Category: Triggered when you add a new category. New Post Format: Triggered when a new post format is created. New Post Type: Triggered when you add a new post type! New Author: Triggered when a new author is added. New Post Status: Triggered when a new post status is added. New Taxonomy: Triggered when you add a new category, tag or custom taxonomy. New Post: Triggered when you add a new post. Any Webhook (Instant): Using the HookPress plugin, trigger off of pretty much anything! Create Video: Creates a new video with the data sent by the trigger. When Zapier combines WordPress and Sezion, Sezion instantly makes a video. Within your Sezion account you can choose where you want that video to be uploaded. The common choice is YouTube, since customer acquisition relies mostly on one thing: Search Engine Optimization (SEO), and YouTube is the second search engine out there. What information Zapier asks to make videos from WordPress posts? First, you’ll need to connect your WordPress and Sezion account to Zapier. Learn how to connect your Sezion account to Zapier. You can also add filters based on other WordPress fields to only allow some items, in order to make videos whenever you want. The template which will be used to create the video. You’ll see a list with your Sezion video templates. Depending on the template you choose, Zapier will automatically show you the Dynamic Media from Sezion that every template has. Dynamic Media within Sezion are the different elements (texts, images, audios, videos) in a template that are variable and can be different in every final video. That’s what makes a video personalized. In this case, the inputs or content coming from WordPress (for example: post title, post excerpt, keywords, etc. ), that will be shown in the final generated video. Here you’ll find how to install, use and create a Sezion Video Template. The title for the video. 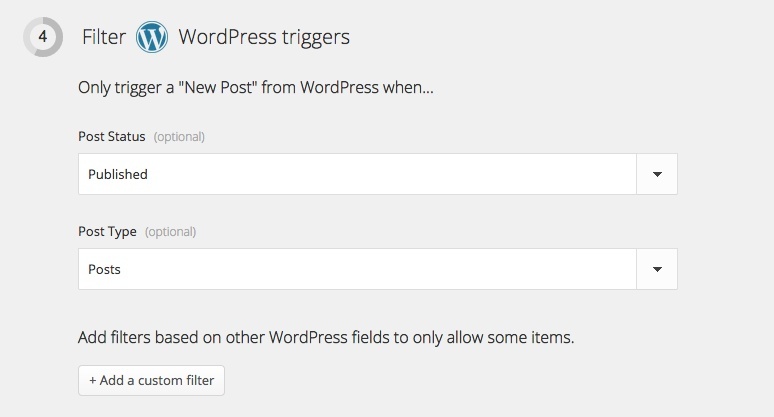 Zapier gives you the option to insert a field coming from WordPress. In the video example you just watched, the video title is also the blog post title. Read the full article: http://blog.sezion.com/video-and-bidi…. Video has the added ability to be personalized and hyper-focused; which only reinforces its position as the most engaging format. With bidirectional communication being an important aspect of our digital age, brands often receive high praise for personalized and localized messages. A good video description provides information on what the video is about. It helps your viewers understand what they’ll be watching and it gives the search engines an overview of the content inside the video. We wrote an article about how to write effective YouTube description to improve SEO, so we got your back :-). Dynamic media from the template. If it’s an image, video or audio it has to be a URL. In the video example I only used one Dynamic Media: the blog post title, using the “insert field” option mentioned before. Start using this Zap now, it’s free! By connecting WordPress to Sezion with Zapier, Sezion helps you automatically generate thousands of personalized videos from any content feed in minutes, to help you improve your SEO, get blog trafic and promote your content via YouTube or any other video hosting provider. You can also create new Zaps to promote the new generated videos within Twitter, Facebook, Hootsuite… to automate your content marketing workflow with the CRM, CMS or Email Marketing tool you usually use. Personalized Videos, Sezion, Zapier get blog traffic, how to, improve seo, promote blog posts, video, wordpress triggers, wordpress zaps, zapier tutorial. permalink. Awesome This information.. Awesome Thanks..
Hey, thanks! Let me know if you need any help with our personalized videos solutions! I may have missed this but does this work on self-hosted WordPress? Hi Stephan! Sure, it also works on self-hosted WordPress to create personalized videos from any content. Depending on the type of content you host / your WP setup and plugins, you’ll find different options. Please let me know if you have any questions and if you need help (josias – at- sezion – dot – com). whether the way it can also be used for blogspot as my blog today. caradaftar21 says: Thank you for sharing excellent informations. Your web site is so cool. I’m impressed by the details that you have on this website. It reveals how nicely you understand this subject. Bookmarked this website page, will come back for more articles.